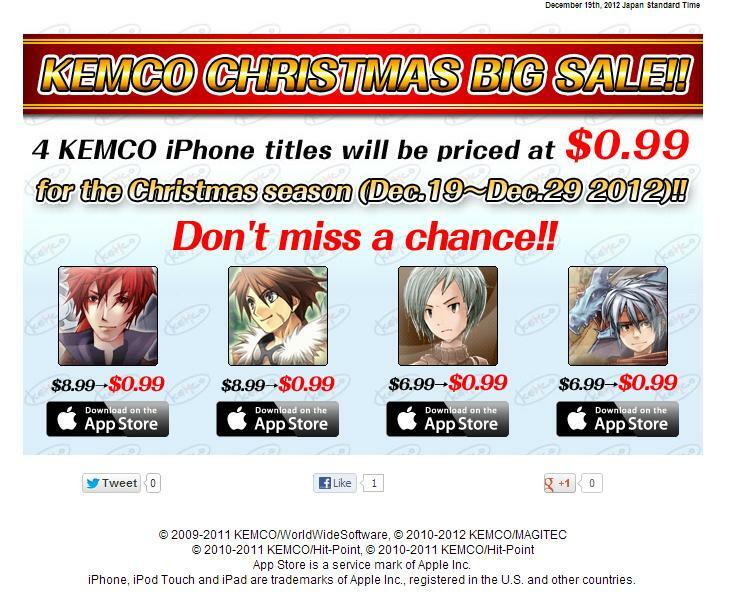 KEMCO is pleased to announce a special Christmas Big Sale from today December 19th until December 29th (JST)! Four titles on iPhone/iPod Touch will be priced at only $0.99 on the App Store! Here are the titles at a good bargain!